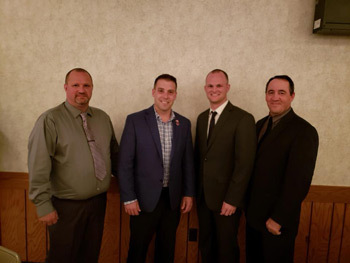 Last Saturday, I spoke at the East Huntington Township Volunteer Fire Company’s 64th annual banquet. Thank you to all our first responders who protect our lives and property in emergency situations. Pictured with me (from left) are Chief Brian Kite, Financial Secretary Jim King and Vice President Jon Overly.